On Friday afternoon, the families began picking up the gifts for their children and grandchildren. There were hugs, laughter, and tears of joy as the parents and grandparents thanked Cannon County Coordinator Lemuel White and Rutherford County Family Services Coordinator Jennifer Gamble. 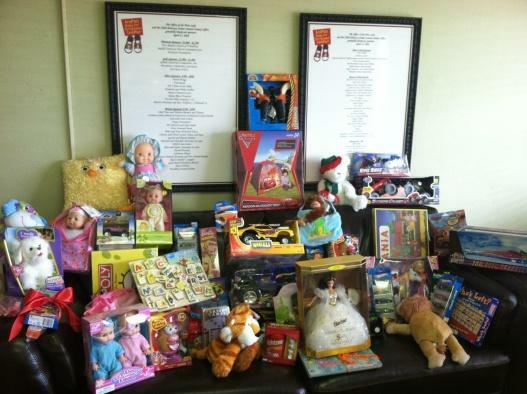 It’s not too late to get involved and help child abuse victims during the holidays. For information on how you can get involved, contact Lemuel White at theCannon County Child Advocacy Centerat 563-9915. Cannon County Coordinator Lemuel White is one of Santa’s elves on Friday delivering gifts to needy families for Christmas. Cannon County Chamber of Commerce donates Christmas gifts to needy families at theChildAdvocacyCenter.